Aberdeen Strathspey & Reel Society has been named as the winner of the smallest charities category for the third year running in a national awards scheme which recognises excellence in online reporting by charities. The Charities Online Financial Reporting Awards are run by the Institute of Chartered Accountants of England & Wales (ICAEW) and are open to all UK based charities. The awards are designed to encourage charities to publish their annual report and accounts online as well as reward innovative and outstanding reporting. Charities' annual reports are assessed by a judging panel for compliance with technical and legislative requirements plus ease of availability, clarity, web-friendliness, accessibility and impact. The awards ceremony was held at Chartered Accountants' Hall, London on Monday 24 June 2013. The prize included a donation to the Society, a certificate, a seal to display on their website and valuable feedback from the judging panel. We're delighted to receive this prestigious award. We aim to be open and informative about our traditional Scottish music orchestras, their activities and achievements. The award gives our orchestra members, audiences and supporters assurance we're delivering high quality reporting. 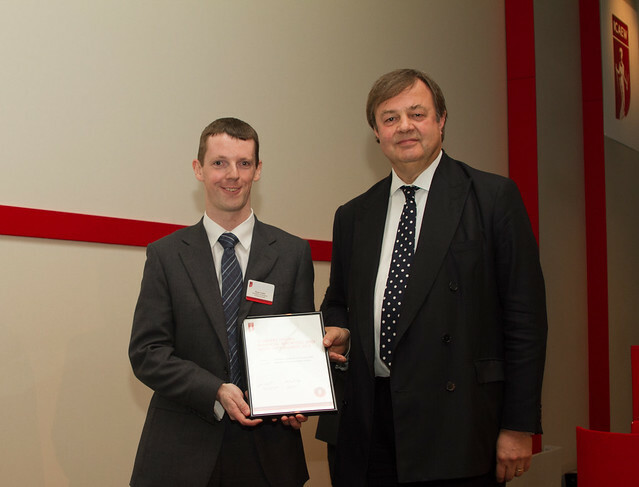 The winning 2012 annual report is available from our website and more information about the awards is available from www.icaew.com/cofra.